What did you do on New Year’s Eve 2008 - Joakim A. We went skating on this lovely ice on a small lake northeast of Uppsala. 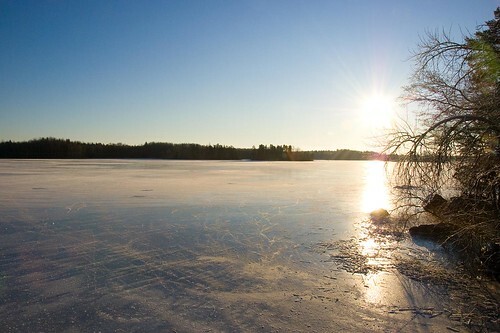 The ice was like a mirror and the blue sky and sun only added to the magic.